“You little brat, actually running around while knowing that it’s very dangerous here. Fortunately, you are fine." Vicious Wolf spoke with a smile, and his tone was full of worries. This group of iron-blooded mercenaries had very pure emotions. Brothers and partners were their eternal beliefs. "Is this all right?" Shen Yanxiao blinked her eyes. Du Lang looked at Shen Yanxiao and revealed a comforting smile. At the same time, he also noticed the little guy beside Shen Yanxiao. That youngster looked very young, but all over his body was an atmosphere which made people dare not to get close. "Chirp~?" One red furry ball sprouted from Vermillion Bird’s head. Its pair of silky eyes was wide open and curiously watching these people. "Where did you pick this kid up?" Vicious Wolf noticed Vermillion Bird’s existence. Shen Yanxiao touched the tip of her nose and casually found a reason to fool the latter. Vicious Wolf didn’t care that much and didn’t question anymore. Everything else didn’t matter as long as people were safe. Sitting on a carriage, Shen Yanxiao finally relaxed. This trip could be said to be fruitful. Not only did she successfully harvest the Inflammation Gra.s.s, but they also successfully enticed a little Phoenix, got a Phoenix feather s.h.i.+rt, and the Phoenix couple's friends.h.i.+p. Vermillion Bird was sitting at Shen Yanxiao’s side, and his expression was very tragic. It was a carriage again! The carsick Vermillion Bird was hovering between life and death, and he could not wait to jump off the carriage immediately and just fly his way back. However, he had just moved a bit when Shen Yanxiao immediately nailed him back with her look. Wuwu, don’t be such a bully! The little Phoenix rolled merrily atop Vermillion Bird’s head, and his mouth issued a soft and low tender sound. Du Lang and Vicious Wolf sat across them with very curious expressions. But they were very wise not to ask much. When the carriage began to move forward, Vermillion Bird's face instantly turned from white to green. "Well, is this little friend all right?" Vicious Wolf stared at Vermillion Bird’s very unsightly face and kindly asked. Vermilion Bird directed a cold eye towards him. Compared to Vermilion Bird's arrogance, Vicious Wolf suddenly felt that Huo Xiao was so cute and amiable. They were both little brats, so how could their gap be so big? As everyone knew, Vermilion Bird's mood at this time had simply fallen to the bottom. G.o.d knew that he was most afraid of riding a carriage! With the whole journey being b.u.mpy, Vermilion Bird's face turned from green to white and from white to purple. At last, it became dark. "Shoot! Kid, don’t vomit ah!" On the first night of the return journey to Black City, Vicious Wolf and Du Lang left their original carriage for some inexplicable reason, so the other mercenaries were crowded into other carriages. Mount Ku Luo’s forests, after suffering a fire invasion, had restored its calm. The Phoenix couple stood in front of the collapsed nest, temporarily resting for a moment. At this moment, Mount Ku Luo welcomed a guest. A slender figure stepped into the forest. The instant the man appeared, the demons and magical beasts that had just slowly recovered immediately evacuated a hundred meters away from his surroundings. They quickly fled in disarray. The man slowly came to the summit of Mount Ku Luo and approached the Phoenix couple. His ruddy eyes had gazed at the mess and the collapsed nest before his thin lips slightly opened. "What happened to the two of you?" You're Read The Good for Nothing Seventh Young Lady Chapter 415 online. If you find any errors or translatation mistakes, please let us know so we can fix that as soon as possible. You're reading The Good for Nothing Seventh Young Lady by Author(s): North Night,夜北. 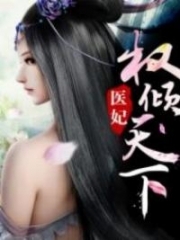 This novel has been translated and updated at LightNovelsOnl.com and has already 8623 views. And it would be great if you choose to read and follow your favorite novel on our website. We promise you that we'll bring you the latest novels, a novel list updates everyday and free. LightNovelsOnl.com is a very smart website for reading novels online, friendly on mobile. If you have any questions, please do not hesitate to contact us at a[email protected] or just simply leave your comment so we'll know how to make you happy. Current Time is 26-Apr-2019 16:04:27 PM.